Almost three years ago, we documented that clean energy companies – particularly big wind industry players – were treating digital media as cheap distribution for product information. Marketing research shows that up to 60 percent of B2B customer purchase decisions are being made through online research and content before making contact with the seller. Digital platforms were built for ongoing, two-way engagement that can work well in the critical, early stage of the customer’s online research. However, wind companies collectively ignore these realities because they typically use digital tools as sporadic, one-way distribution of information. There are historical reasons why clean energy companies have been slow to update their marketing approach, but the case for more updated practices has been growing stronger. We discuss both in depth in our recent white paper, “No Time for Legacy.” But the point is that legacy thinking dominates wind companies’ approach to digital media in sales. 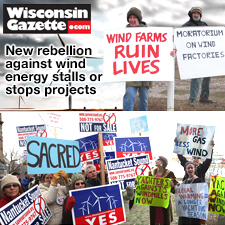 However, public affairs is a different matter, particularly when it comes to community acceptance for wind projects. Getting wind farms built is a do-or-die proposition, with big financial downsides for developers if the community aggressively mobilizes against a project. And, securing community acceptance is getting harder, given the drastic decline of independent local news media and the increasing sophistication of a professional class of wind industry opponents. So, we wanted to see if wind companies were treating digital platforms differently in their community acceptance efforts than they used it for sales. We inventoried the use of online tools and best practices for the top nine IPPs. Then, we conducted in-depth interviews with public affairs or community relations executives at seven of those companies.